We repair all types of boilers! 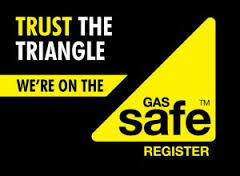 We aim to fix 99.9% of all boilers we come across. However, in some circumstances, we may have to recommend a replacement boiler, but we only do this when it is absolutely necessary. We carry a large stock of replacement parts. This minimises your time without heating and hot water, and more importantly, the cost of the repair. Unlike other heating engineers we will ONLY fit the parts that you need. If your boiler has an intermittent fault and we fit a part that doesn’t fix the problem, we will swap the part back with your old part and don’t charge you for it. We have heard plenty of stories about heating engineers falsely diognosing that a boiler needs a Printed Circuit Board (PCB), costing several hundred pounds, and then telling the customer that it didn’t fix the problem, but they would still have to pay for it! At G20, we think this is totally unacceptable. Afterall, why should you pay for somebody else’s incompetence.